It's that time of year again; time to break out the sharpies, make your lists, and brave the malls for holiday shopping. In an effort to enable assist in your endeavors, I'll be sharing several gift guides over the next few weeks. Maybe you'll find some items for the good kids on yours...or even for yourself. That skirt!!!!!!! 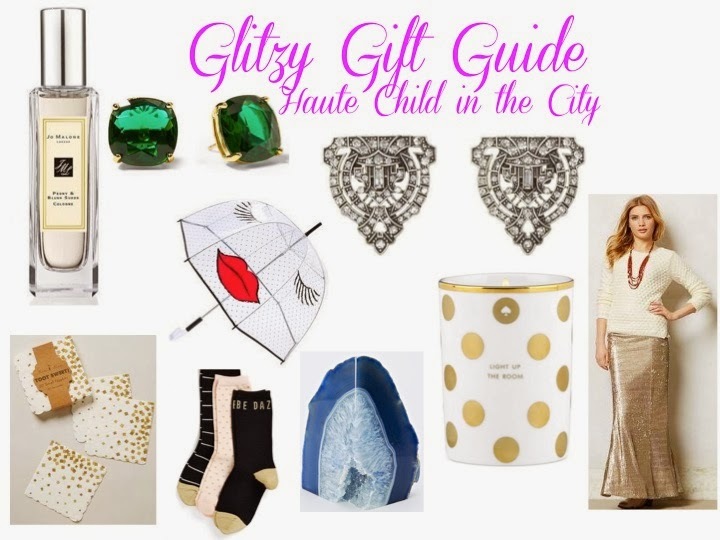 I feel like I need a little more glitz in my life. I need you to help me! Those earrings and the skirt!!! LOVE the skirt - obsessing over it actually!